Yes, Israel is popular right now, but most of its new friendships are based on assessments of common interest, and such assessments can change overnight. In the lead article of Mosaic online magazine, “Everybody Loves Israel,” the Hudson Institute’s Arthur Herman celebrates Israel’s stunning global popularity — in Asia, Africa, the Middle East, Eastern Europe, and across a wide section of America — and suggests that Israel’s diplomatic future looks brighter than ever. Invited by Mosaic to respond, Washington Institute Executive Director Robert Satloff struck this more cautionary note. Arthur Herman is right: Israel is hot — diplomatically, not just meteorologically. Old adversaries are burying the hatchet; new friendships are blossoming; and suitors around the world are jockeying for the attention of Israeli leaders, diplomats, generals, scholars, investors, consultants, and hi-tech entrepreneurs. Little of this is known — and less is appreciated — in the Washington-to-Boston corridor that defines “conventional wisdom” for the large majority of Americans, who are told that Israel is increasingly isolated around the world. But that unfortunate circumstance does not alter the array of opportunities presented by Israel’s exploding relations throughout Asia, Africa, Latin America, and even parts of Europe. Nor does it obscure the fact that Israel remains hugely popular across large swaths of America — particularly, perhaps especially, where there are few Jews. Still, at the risk of raining on a parade of what is, without doubt, good news for the Jewish state, I believe a warning about “irrational exuberance” is in order. This is not to disparage the remarkable achievements Israel has scored on the global front over the past decade or so, as Herman ably and comprehensively chronicles. Nor is it to criticize the wise investments Israeli governments, corporations, and civil-society organizations have made in spreading the word of Israel’s attractions and advantages to the four corners of the globe. Rather, it is to caution Israel and its friends against a series of what I believe are false hopes about the ultimate strategic significance of these welcome shifts — namely, false hopes that Israel’s current burst of global popularity will necessarily remain the “new normal” of international politics; that the world will forever agree to relegate the Palestinian issue to the diplomatic back burner; and, perhaps the falsest of all, that one or a collective of Israel’s new friends could replace the often irksome, sometimes cranky alliance with the United States. Not that Herman himself makes these assumptions; indeed, he offers a series of caveats both at the outset and in the conclusion of his essay. Others, however, are less cautious in their determination to find long-term strategic significance in Israel’s current global economic and diplomatic success. And even Herman’s own caveats can strike one as pro-forma, much like the warning labels on cigarette packs or liquor bottles: perfunctory statements that smokers or drinkers don’t even notice in their zest to partake. So let me spell out my warnings. First, given the speed of seismic strategic shifts in both the Middle East and broader global politics in recent years, it is foolhardy for any government — especially Israel’s — to bank on the idea that “the way things are” are the way things are going to be. In its immediate neighborhood, Israel’s good fortune rests on a strengthened partnership with an increasingly authoritarian Egypt; a convergence of interests with the Sunni states of the Gulf; and an energy-based condominium with Turkey. The long-term stability of any of these three realities is not a foregone conclusion. 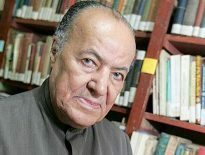 Egypt’s volcanic domestic change has probably not seen its last tremor; the Gulf’s under-the-table bromance with Israel will last only so long as Gulf leaders see it as a useful component of regional competition with revolutionary Iran, the common enemy of Sunnis and Zionists alike; and no one can seriously bank on any strategic continuity with a megalomaniacal leader like Turkey’s Erdogan at the helm of a regional power. Specifically, when either change comes to Iran or Gulf leaders opt for a different strategy toward that country — accommodation, for example — ties with Israel, such as they are, will be easily jettisoned. My friendly advice to Israel would therefore be to take advantage of the moment to expand its web of relationships in Egypt, Turkey, and the Gulf so as to insulate bilateral ties as much as possible from the almost inevitable changes in the broader strategic environment. But Israelis should never forget that in all of these relationships, they are the dependent variable, whose fortunes will rise and fall based on events largely beyond their control. In this same connection, it bears stressing that Israel’s strength and survival remain a core strategic interest for only two actors in the region: the Hashemite kingdom of Jordan and the Palestinian Authority. Despite the competition and mutual mistrust between these two entities, both rely on Israel for critical elements of their security. They may not say so publicly, but that is the strategic reality, and it is unlikely to change in the foreseeable future. Next, an important component of Israel’s current global success is the fact that countries around the world seem to have lost interest in the Palestinian issue. Given the dysfunction of the Palestinian Authority, the years of apparently fruitless diplomacy, the now-structural division between the PA-governed West Bank and Hamas-ruled Gaza, and, most importantly, the far more pressing real-life urgency of the crisis in Syria and the twin challenges of Sunni jihadism and Iranian expansionism, it is no surprise that the Palestinian issue has been downgraded on both the regional and international fronts. Indeed, this changed prioritization is both right and just. But we have seen this movie before. Remember 1987? That was the year when a previous episode of intra-Muslim sectarian conflict — the Iran-Iraq war — dominated Arab politics, and Saddam Hussein commanded the stage at an Arab summit in Amman, Jordan. 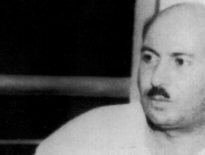 The Palestinians, including Yasir Arafat himself, were shunted aside, an afterthought on the Arab agenda. At the time, Yitzhak Shamir was Israel’s prime minister, and many in his circle viewed this turn in Arab politics as signaling a new realism among regional capitals concerning Israel’s approach toward the Palestinians. But that didn’t last long. Just weeks after the gavel fell on the Arab summit, the Palestinian uprising broke out, the word intifada entered our lexicon, and the new “reality” was overturned. The rest, as they say, is history. This is not to imply that the current moment is as fleeting as the seeming respite of 1987. Nor do I wish to minimize the impact that decades of experience with Palestinian dysfunction and the failures of peace diplomacy have had on the global attention span. Rather, I recount this story to reaffirm a truism about the resonance of the Palestinian-Israeli conflict: namely, that, at its core, this is an inter-communal and not an inter-state issue. That’s good news on the conventional military level, in the sense that no state is likely ever to fight Israel on behalf of the Palestinians. But it’s also bad news in the sense that when the relationship between Israelis and Palestinians blows up, the reverberations can spread far and wide, with the potential to overwhelm other political realities. Admittedly, this doesn’t always happen; a case in point is the survival of Jordan’s and Egypt’s peace treaties with Israel despite periodic turbulence in Israeli-Palestinian relations. But the potential is certainly there. In the current moment, calm reigns between Israel and, respectively, Ramallah and Gaza. With the potential for tumultuous days ahead — when, for example, change comes in a post-Mahmoud Abbas environment — few would wager that calm will reign forever. And that will have a powerful impact on how other states — especially but not solely Arab states — calibrate their relations with Israel. What, then, about Israel’s non-Arab new friends, especially among the great powers of Russia, China, and India? It is, of course, no small achievement for Israel to have built such strong relationships over the past two decades with these powerful and influential countries, relationships from which Israel reaps enormous economic and, to a lesser but still significant degree, political and diplomatic benefit. Wise Israeli leaders will continue to do what they can to cultivate these connections. But giddiness over Israel’s new “strategic partnerships” should be avoided. As Herman quite correctly notes in his concluding caveats, two of these countries — Russia and China — are, to say the least, not democratic; their relations with Israel are devoid of “shared values” and are based solely on assessments of current common interest. Such assessments can change over time, and overnight. One has only to recall that in 1947 the Soviets supported the UN partition resolution that authorized Israel’s creation, only to shift course, arm Israel’s sworn enemies, and eventually lead the fight for the UN’s infamous “Zionism is Racism” resolution of 1975, a move designed to undermine the very legal and moral foundations of the Jewish state. 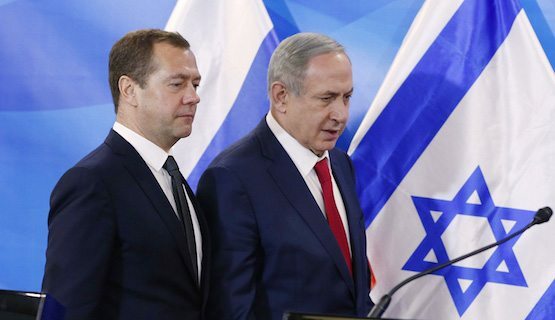 If today’s “correlation of forces” leads Moscow or Beijing to value relationships with powers other than Israel, there will be little nostalgia or sentimentality standing in the way of junking ties with Jerusalem. India, a robust democracy, is probably a surer friend over the long term than either China or Russia, inasmuch as it shares both values and interests with Israel; as a result, building deeper ties with New Delhi deserves even greater effort and urgency on the part of Israeli leaders. But even here, some humility is in order concerning the strategic significance of the Israeli-Indian partnership. The relevant historical analogue here is France, a democracy that was Israel’s great-power patron in the 1950s. And the French-Israel relationship, it is important to note, had the additional advantageous component of the French-Jewish community — one of the world’s largest — as a bridge between the two countries, an asset that the India-Israel relationship lacks. But when in the 1960s a popular political leader in Paris suddenly decided to end the strategic relationship and shift from an alliance with Israel to an alliance with Israel’s enemies, the partnership was swiftly severed. Nothing decrees that India-Israel relations are fated to be a reprise of French-Israel relations of a half-century ago, but it is well to be reminded that even partnerships with democracies can swiftly and suddenly collapse. This leads finally to a discussion of the United States. In his essay (which was published before the recent election), Herman expresses the hope that, once Barack Obama leaves office, the next presidential administration will come to base its Middle East policy on an “unapologetic assertion of the congruity of U.S. and Israeli interests in promoting, peace, stability, and democratic values.” Perhaps that will happen; one certainly hopes it will. But it would be foolish not to entertain at least the possibility that some of today’s worrying signs about the U.S.-Israel relationship could worsen and even congeal politically. These signs include frustration with Israel’s policy toward the Palestinians, which has eroded pro-Israel sentiment among substantial elements of the Democratic party, and frustration with Israel’s deference to an Orthodox state rabbinate, which has eroded support for Israel among a substantial part of another key constituency, namely, the American Jewish community. To be sure, Israel remains a wildly popular ally for many Americans, and neither of these phenomena currently threatens the status of what is, in many respects, the most remarkable alliance between a great power and a small regional power in modern history. But alliances need tending; they don’t thrive without care and attention. Should Israel take the American alliance for granted — without devoting care and attention to weak spots in the relationship and without investing in the new areas of opportunity, such as the rising Latino influence in American politics — it runs the risk of awaking one morning with an American alliance in profound disrepair. This doesn’t mean that Israel needs to take measures that run counter to its core national interest for the sake of the U.S.-Israel relationship; but it also doesn’t mean that indifference to the concerns of large and influential blocs of politically active Americans is a wise policy. The good news for Israel is that the ability to determine the health and vibrancy of its alliance with America lies largely in its own hands. This has long been a reality of the U.S.-Israel relationship, if one that not every Israeli leader has fully appreciated. Israeli leaders who are serious about the task of tending the relationship and who take the initiative to deepen and broaden it will find their efforts justly rewarded. Robert Satloff is executive director of The Washington Institute and author of several books on the Middle East, including Among the Righteous: Lost Stories from the Holocaust’s Long Reach into Arab Lands.